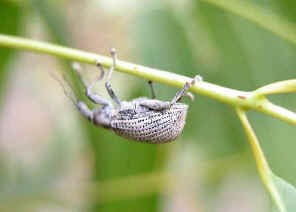 White Gum Tree Weevil - Pelororhinus sp. 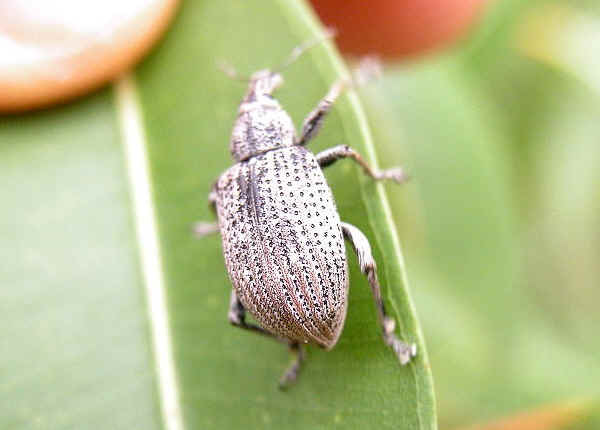 This page contains information and pictures about White Gum Tree Weevils that we found in the Brisbane area, Queensland, Australia. Above pictures was taken in Karawatha Forest in mid summer. The weevil was wandering on a young gum tree. 1. Australian Weevils - Zimmerman, E.C., CSIRO PUBLISHING, 1991, Plate 351.